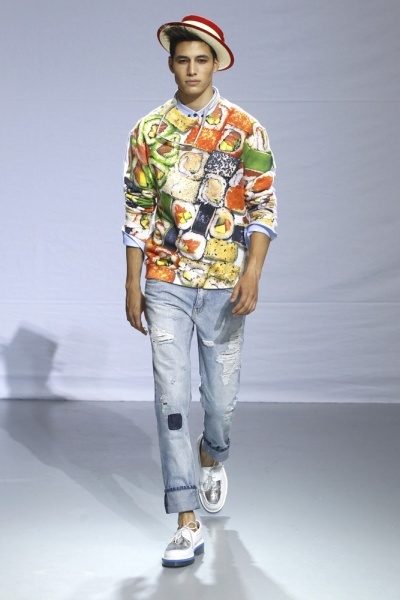 Sushi inspired motifs in the Frankie Morello Spring/Summer 2014 Menswear Collection, titled « Food for All ». Other Sushi-influenced items : David Szeto (at the beginning of the 2000s, David Szeto often created fabric-rolled puffed sleeves, that he named « sushis », to adorn some of his pieces), Elise Øverland Autumn/Winter 2009-2010 (the « Shimmer » theme of this show was influenced by a book about Japanese sushi). Moreover, Kate Moss designed a special sushi box (carrying 40 pieces) for Sushi Shop®, that was available from May 13, 2013. Brian De Palma’s « The Black Dahlia » influenced the Frankie Morello Autumn/Winter 2013-2014 Show. 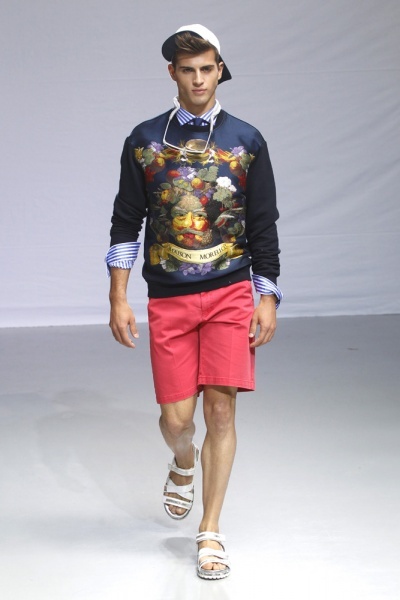 Michelangelo’s Statue of David inspired 2 prints in the Frankie Morello Spring/Summer 2012 Show. Other Michelangelo-influenced collections : Aquilano.Rimondi Spring/Summer 2012 (the works of artists such as Michelangelo were mixed with the colors of 60s Italian fashion), BVLGARI Spring/Summer 2012 (« B Zero 1 » collection, inspired by Michelangelo and Renaissance), Elie Saab Couture Autumn/Winter 2008-2009 (inspired by Michelangelo’s painting for the Sistine Chapel ceiling), Elisabeth de Senneville (in the 80s, she made prints that were based on Michelangelo’s painting for the Sistine Chapel), Dior Couture Autumn/Winter 2007-2008 (the prints were inspired by painters, including Michelangelo). 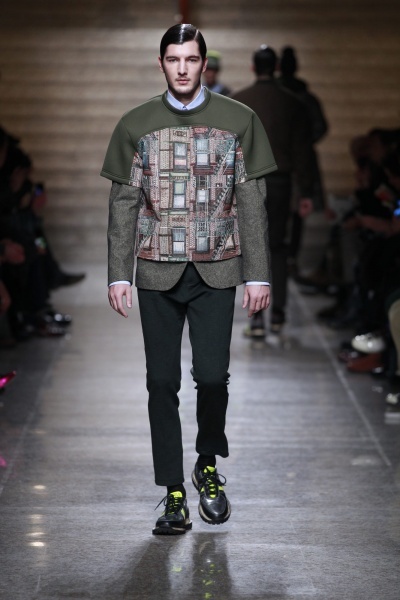 Moreover, Missoni has dressed Michelangelo’s Statue of David with the artist Eladio de Mora (dEMMO) for the Barcelona Shopping Night, on December 2, 2010 (a « Missoni-dressed » David was also presented in New York in 2012). Photo : Courtesy of Frankie Morello.